This recipe is a tried and true Cream City Cuisine “we make it up as we go along” rainy (or snowy, or blustery!) day stew. We suggest using whatever in-season vegetables you find at your local farmer’s market, a concoction of spices you approve via CCC’s taste-test method, and any other additions you think appropriate to your chili masterpiece. It’s more of a method than a recipe. Basically, the ingredient list is whatever you like and whatever you can find. Experiment, cook to taste, taste often, and have fun! Heat a couple of tablespoons of oil in kettle (pictured here: Staub Cocotte) on medium heat. 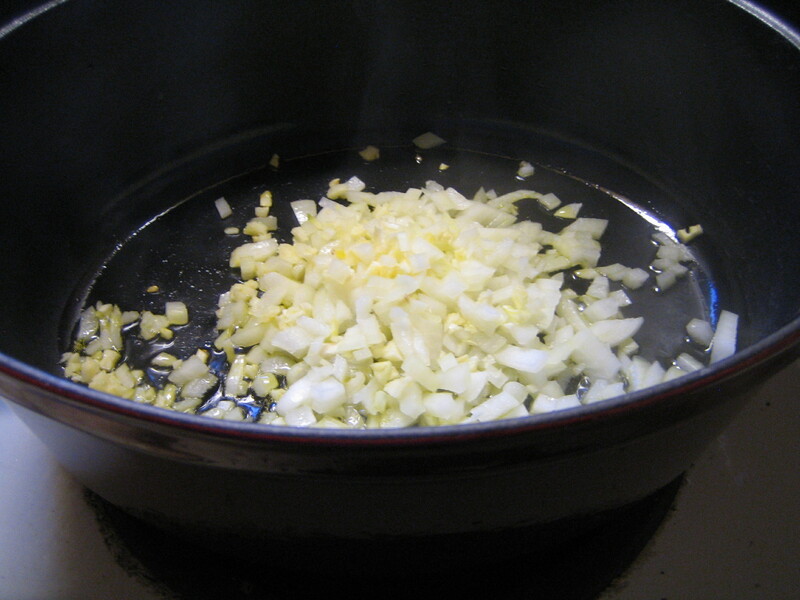 Add garlic and onion and saute until golden. 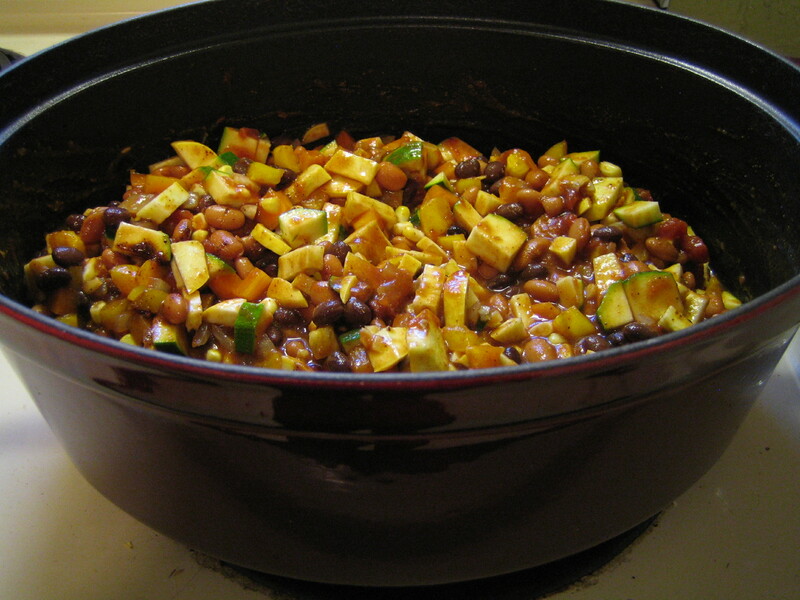 Add veggies and beans, stir and saute for 5 minutes. Turn heat down to medium-low and add spices to taste. Cover and simmer for 1-2 hours, stirring and tasting occassionally. Once done, top with cheese and/or diced onion and enjoy, serve on top of Fritos or macaroni, OR any combination thereof. Now that’s one adorable Staub-Baby. Isn’t she though? And she pulls her weight around the house, too!